Everything is easily accessible from the ancient capital city: Tibet's best museums, biggest monasteries, most important historical sites, and stupendous treks. In one of the highest towns in the world ride with Litang's monks to participate in their fire puja before they preside over one of the most important horse races in Tibet. Stop for lunch on the approach to Amne Machin, the highest mountain in Amdo. A week trek in July is the perfect time to experience the wild flowers in full bloom. This year a class of American university students did a low altitude trek in which they stayed with families during local village festivals. JimpaTravels started in 2007. 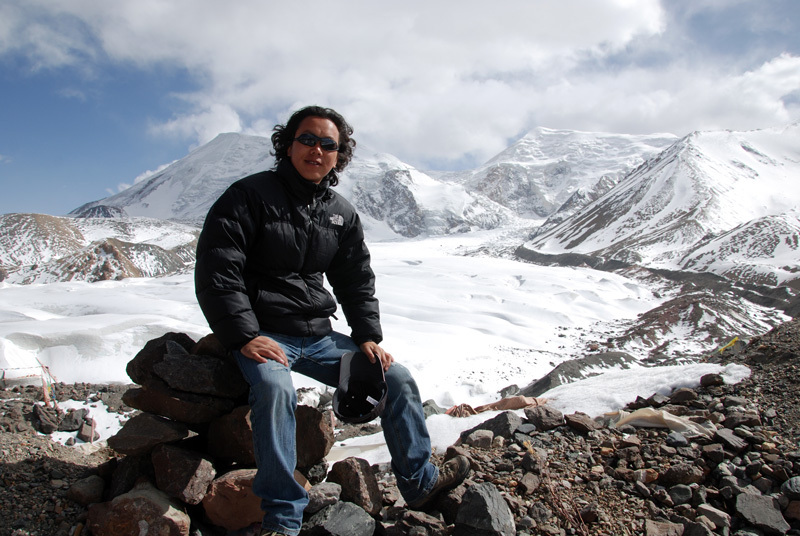 Our guides have been showing people beautiful Tibet for over seven years. As we are Tibetan, we are able to give you an authentic Tibetan experience, making sure you see the important sights along with seeing the real people of Tibet. We work with each customer to tailor a tour that they want and are comfortable with. Because it is our goal to provide only the highest quality tours, rather than filling our calendar with as many groups as we can get to come, we prefer to host a smaller number of groups each year and ensure each one is treated like family. One of the best ways to feel the magnificence of Tibet is to get out walking. These can be arduous two person adventures or they can be strolls through the grasslands with a few nomads who will gather wild vegetables for your meals as you go. If you don't mind roughing it a little, there is no shortage of wilderness in greater Tibet. We have all the gear for you to sit on a mountain or wander a pristine valley among some of the world's most delicate wildflowers. Tibet has a long history of welcoming visitors and respecting their differences. And today more than ever visitors to Tibet want to do a number of things, perhaps a different activity each day. Because of Tibet's rugged environment many unique Tibetan cultures have established themselves here. In the vast grasslands nomads wander. Village farmers carry water as they did hundreds of years ago. Monasteries perch on hills with idiosyncratic rituals and activities. Here at Jimpa Tours&Travel we try our best to fulfill our customers expectations and to give them one-in-a-life-time experience. Read the following feedbacks and testimonials and we hope they will convince you to join one of our tours.